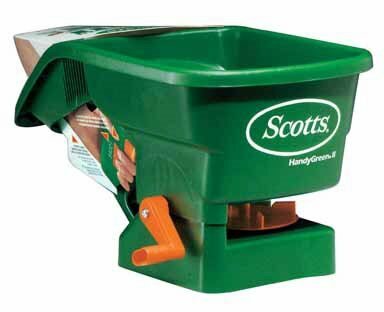 Handy Green Spreader is for small applications of seed, fertilizer or ice melt. Ergonomic design reduces wrist fatigue. Rust proof poly hopper; easy on/off trigger. Has a convenient dial rate control and trigger. The armrest counter balances heavy material such as ice melt and fertilizer. If you have any questions about this product by Scotts Lawns, contact us by completing and submitting the form below. If you are looking for a specif part number, please include it with your message.